We've carried Sennheiser for so long, I often assume they're a household name. 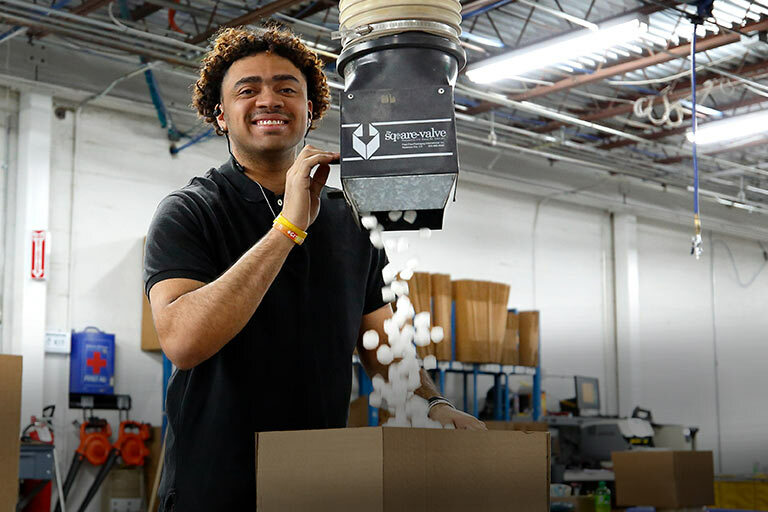 But if you don't know this celebrated headphone maker, they've been at it for over 70 years. So even grabbing a so-called "entry-level" pair of their wireless headphones should promise you good performance. 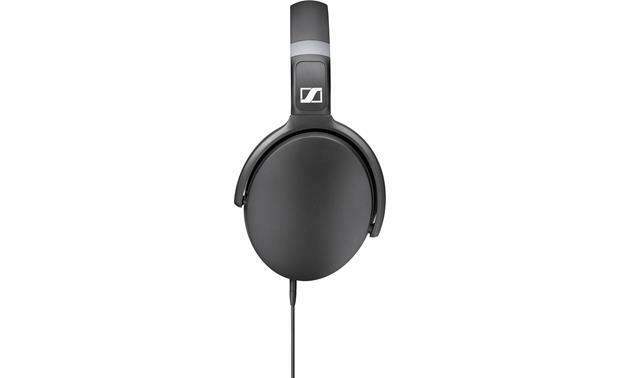 These comfortable and affordable over-ears deliver strong Sennheiser sound with deep bass. Earcup Width x Height 3.111" x 3.543"
Overview: The Sennheiser HD 4.30i over-the-ear headphones are lightweight and comfortable to wear during long listening sessions. 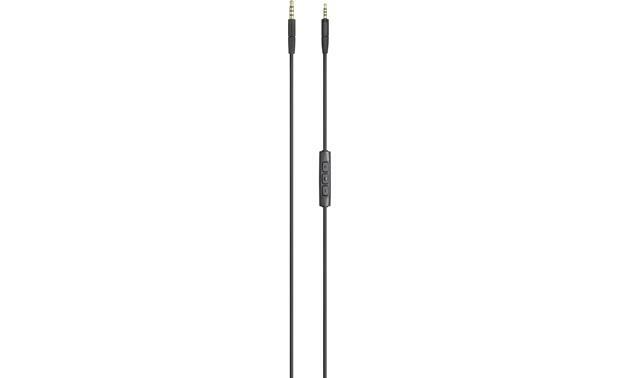 The detachable 59" single-sided cable has an in-line 3-button remote and microphone that is optimized for iPhone, iPad, and iPod touch for controlling your music and phone calls. The HD 4.30i's ear cups fold in for easy storage in the supplied cloth pouch when you're finished listening. Optimized for Android: The HD 4.30i's 3-button remote is optimized for music playback and controlling calls on Apple iPhone, iPad, and iPod touch. It has an integrated microphone that lets you carry on clear conversations. The outer buttons control volume up and down, while the center button lets you play/pause your music and skip to the next track or previous track, plus accept or reject incoming phone calls and voice control (Siri). Note: The HD 4.30i has limited functionality with iPhone/iPad/iPod touch. 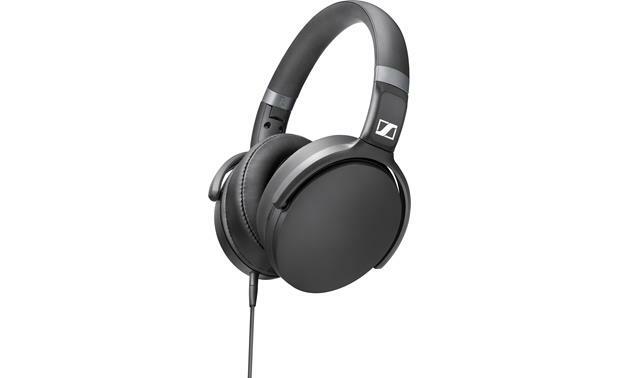 The Sennheiser HD 4.30G headphones are optimized for Samsung Galaxy, LG, HTE, Sony, and other Android devices. Closed Design: The HD 4.30i headphones feature a closed design and around-the-ear pads to isolate external noise. This allows you to enjoy listening in the quiet of your living room, or in the workplace. The headphones deliver powerful bass without overpowering the mids and highs. Stylish: The elegant look of the HD 4.30i is highlighted by the classic black ear cups and headband with anthracite elements. 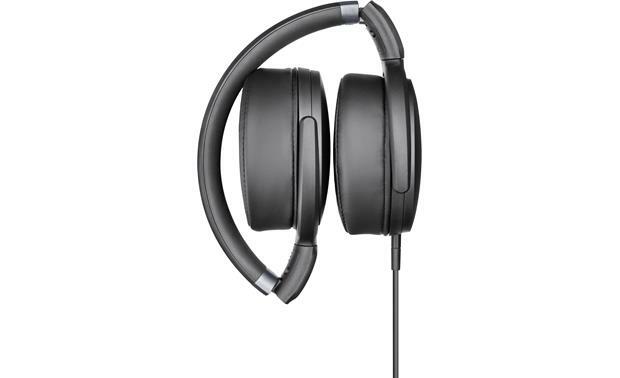 The adjustable headband and soft leatherette ear pads provide hours of comfort for extended listening. 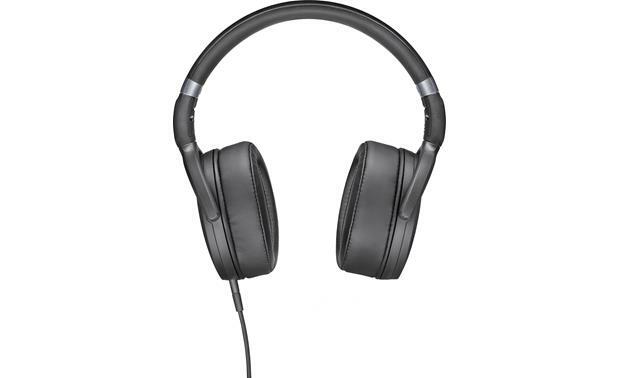 Searches related to the Sennheiser HD 4.30i Over-ear headphones with Apple® remote and microphone.